The Japan Rail Pass is a special discounted service, created for foreign nationals, visiting Japan for tourism purposes, with a maximum stay of 90 days. Please read the eligibility requirements carefully before continuing to making a JR Pass purchase. The Japanese Rail Pass is available to all foreign nationals who are visiting the country for a short period of time and have obtained a Japanese Tourist Visa. The Tourist Visa allows for a stay of up to 90 days in the country. This rule applies to all visitors - adults, children, tourist groups etc. The same rules are valid for the foreign permanent residents such as students and interns, who work or reside permanently in the country. This would mean they have a permanent and not a Tourist Visa in their passport. Remember that the Tourist Visa is the only visa which allows you to obtain and use the Japan Rail Pass. Note: The Japanese Immigration Laws have a very strict policy, which regards the Temporary Visitor visa as the only valid stamp for you to receive and use the Japan Rail Pass. Be aware as there are other types of visas, allowing for a short-term entry but are not eligible for the Pass. From June 1, 2017 Japanese nationals who reside permanently outside of Japan, and have done so for at least 10 years, are eligible to purchase the JR Pass. Eligible Japanese nationals will need to have a valid Japanese passport and written proof — obtained from the embassy or diplomatic representative office of Japan in the foreign country where they live — that they have been living legally in the country for at least 10 years. Those Japanese nationals who have dual citizenship must enter Japan with their non-Japanese passport. This is the only way to receive a Tourist Visa stamp upon entry. The Тourist Visa stamp will be required when exchanging the order (the Japan Rail voucher) for the actual Japan Rail Pass. 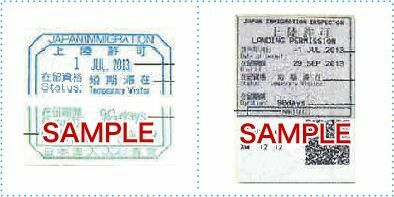 In case you have entered the country with your Japanese passport, you must also provide proof of residence in another country (for a period of at least 10 years) or you will not be eligible to exchange the voucher and receive your JR Pass. Note: Entering the country with a Japanese passport and then showing a foreign passport at the Exchange Bureau will not guarantee a successful exchange, nor showing a foreign birth certificate or a driving license. All dual citizenship nationals who enter Japan with their foreign passport must have the Tourist Stamp in their foreign passport. Otherwise, the exchange of the voucher will not be possible. If after having read all the eligibility requirements mentioned above, you still have doubts about whether or not you are eligible to make the Japan Rail Pass exchange, please do not hesitate to contact us so we can help you assess your case. Please keep in mind that if the JR personnel is unable to verify your eligibility due to missing, unclear or unofficial documents, you will not receive the Rail Pass. Please, make sure you understand and comply with the requirements mentioned above before purchasing the Pass. Remember that the Tourist Visa is the only visa which allows you to obtain and use the Japan Rail Pass. The Japanese Immigration Laws have a very strict policy, which regards the Temporary Visitor visa as the only valid stamp for you to receive and use the Japan Rail Pass. Be aware as there are other types of visas, allowing for a short-term entry but are not eligible for the JR Pass.